The Battle for the Base returns for a third round as the two Camp Pendleton-bordering communities meet up. San Clemente and Oceanside have split the first two editions. The Pirates rebounded in the San Diego Section playoffs with a run to the semifinals in Division 1. Oceanside lost to the eventual champions El Camino, 49-42. Oceanside’s returning quarterback, Kyrin Beachem, was the team’s best athlete and the main signal-caller to end the season. Beachem threw for 712 yards and five touchdowns and ran for 970 yards and six touchdowns. He also finished as Oceanside’s leading receiver with 28 receptions for 450 yards and four touchdowns. Torrey Pines enters 2018 as one of the San Diego Section’s elite. The Falcons are ranked No. 2 in the San Diego Section and fell in the semifinals by just three points in last season’s Open Division playoffs. Four teams from the Avocado League qualified for the eight-team Open Division playoffs. Torrey Pines will give San Clemente an interesting look in the wing-T offense, and their top performers return. Mac Bingham ran for 1,238 yards and 18 touchdowns at running back, and quarterback Jason Heine threw for 1,064 yards and five touchdowns while also running for 553 yards and six touchdowns. San Clemente will make a third straight dip into the Avocado League with another one of San Diego’s finest. La Costa Canyon comes into 2018 as the No. 6 team in the San Diego Section. The Mavericks fell to Torrey Pines in the Open Division playoffs. La Costa Canyon beat Torrey Pines two weeks earlier. La Costa Canyon was a bit mercurial in 2017. The Mavericks scored over 30 points in six games, but they were also shut out twice. La Costa Canyon held opponents to seven points or less in five games, but they also allowed 40 points twice. Murrieta Valley has been an inland juggernaut, but San Clemente has been a thorn in its side. The Nighthawks are 0-2 with 107 points allowed against the Tritons the last two seasons, including the 2016 CIF-SS Division 2 championship game at Murrieta Valley. San Clemente returns to the scene this season. 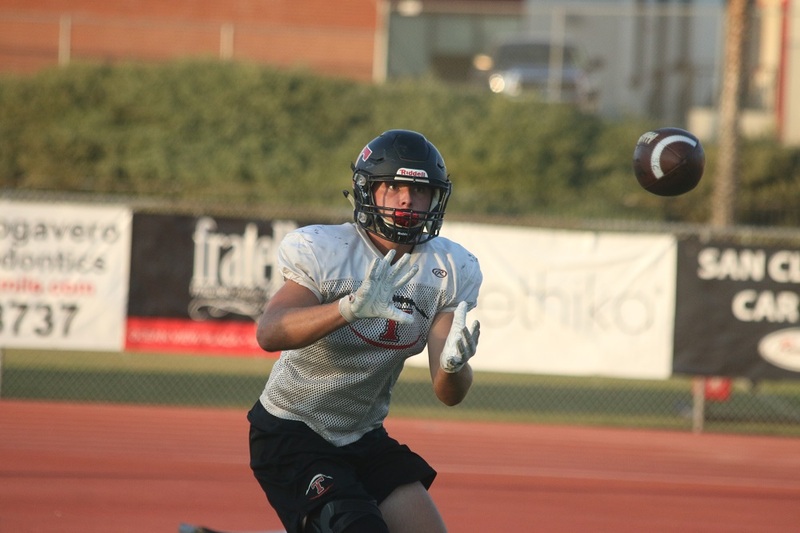 Murrieta Valley lost its top rusher and top receiver, but quarterback Hank Bachmeier returns for his fourth season at the helm of the Nighthawks video-game-numbers offense. Bachmeier has thrown for yardage totals of 2,854, 3,892 and 3,255 yards and touchdown totals of 36, 46 and 42 in his three seasons. Corona del Mar is ranked No. 4 in the CIF-SS Division 4 preseason poll and faces a new challenge as it moves to the revamped Sunset League in 2018. They’ll have to do this with a new-look offense as the Sea Kings lose their starting quarterback, leading rushers and one of their 1,000-yard receivers. Junior Ethan Garbers, the younger brother of former Sea King and current Cal quarterback Chase Garbers, is set to take over at quarterback. His main target will be junior John Humphreys. Humphreys led Corona del Mar with 55 receptions for 1,110 yards and 16 touchdowns last season. Edison and San Clemente have produced a small classic series with two games in two years decided by a combined seven points and both taken by San Clemente. The Chargers will have some new faces for the third edition as Edison loses its starting quarterback, top three leading rushers, top five leading receivers and six of their top eight tacklers. Seniors Luke Hoggard and Cameron Eden led the Chargers in tackles as juniors and form part of the new leadership group. Senior Patrick Angelovic steps in at the quarterback spot to take over from the school’s all-time leading passer, Griffin O’Connor. Tesoro finish squarely in the middle of the South Coast League last season as the Titans went through a season of growing pains. 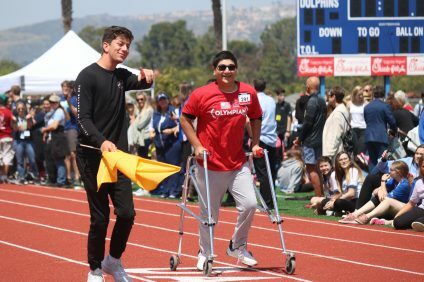 Tesoro finished ahead of the two teams that fell to the Sea View League, San Juan Hills and Trabuco Hills, but behind the two Division 1 teams, San Clemente and league champion Mission Viejo. Tesoro lost in the first round of the Division 2 playoffs and is ranked No. 9 in the division’s preseason poll. The Titans have a quarterback battle going on as they lost their star quarterback and leading rusher, Chase Petersen. Cameron Lambi will be the running threat. It’s a whole new world for El Toro as the Chargers make their return to the South Coast League. Andy Diaz takes over the El Toro program after seven seasons as the head man at La Quinta in Westminster. Diaz is an El Toro alum and was offensive coordinator at San Juan Hills before the La Quinta job. El Toro will have to replace a nearly 4,000-yard passer, two 1,000-yard receivers, its top six receivers and its top three rushers from an explosive 2017 offense. That duty will fall to senior Austin Stover who has 16 pass attempts in two varsity seasons. 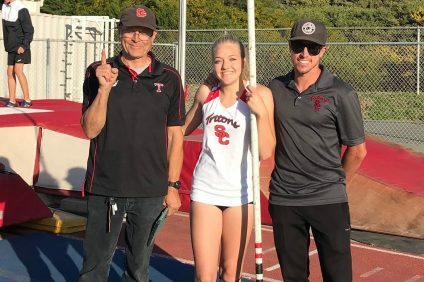 Capistrano Valley returns to the South Coast League after back-to-back Sea View League titles and two of its most successful seasons in school history. The Cougars advanced to the Division 4 semifinals last season and moved up to Division 3 for 2018. Capistrano Valley lost two major defensive threats and its top three receivers, but dynamic senior Nathan Manning returns at quarterback. Manning led the Cougars with 404 yards rushing and threw for 3,023 yards with 36 touchdowns last season. Returning senior lineman Juan Carlos Saldivar and senior leading tackler James Giles will keep the Cougars defense on track in a strong passing league. Mission Viejo returns as, yet again, the class of the South Coast League and one of the top teams in Orange County, but the Diablos have one very significant difference. Legendary coach Bob Johnson retired after last season’s run to the Division 1 semifinals. Former St. John Bosco offensive coordinator Chad Johnson, no relation, is the man taking over the high profile position. Arizona State commit Joey Yellen remains at quarterback for Mission Viejo. Yellen threw for 2,439 yards and 29 touchdowns last season. Leading rusher Akili Arnold also returns. Mission Viejo also has youth on the offensive line and defense.